Cooler Master has a new RGB mechanical keyboard called the MasterKeys MK750. 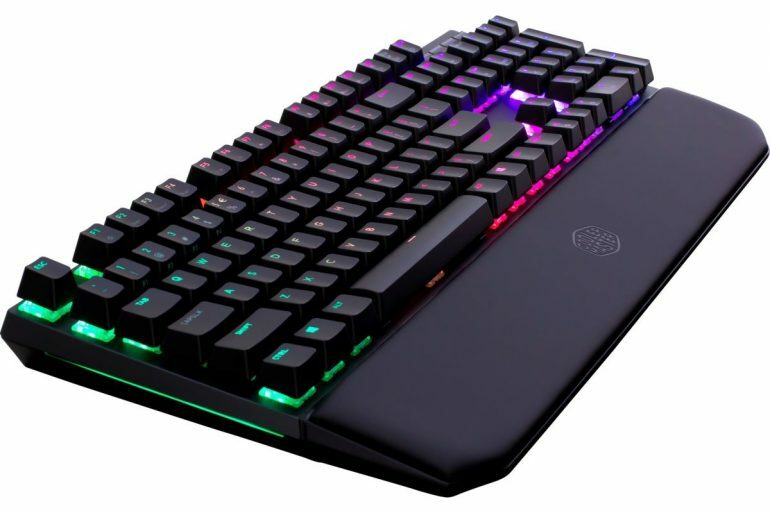 The keyboard has plenty to offer gamers and general consumers, including what Cooler Master calls a ‘Floating Mechanical Cherry RGB Switches’ design that gives the keyboard a slim profile. The MK750 is also designed with comfort in mind; it comes with a detachable magnetic wrist rest, so users won’t have to constantly worry about straining their wrists over long periods of typing or gaming. You’ll have the option of choosing the type of Cherry MX key switches you want; including red, blue, and brown. What colour you choose is up to the user’s preferred level of versatility and typing comfort. Additionally, the keyboard comes with nine purple doubleshot gaming keycaps that users can switch out on the keyboard. Cooler Master states that its RGB system on the MK750 comes with a unique radiant light bar that ‘adds style and ambiance’ to a user’s gaming experience. Cooler Master also made the RGB lighting a per-key backlight, which they say maximises personalisation for every user. The MK750 will be made available starting this week with an SRP of RM649. 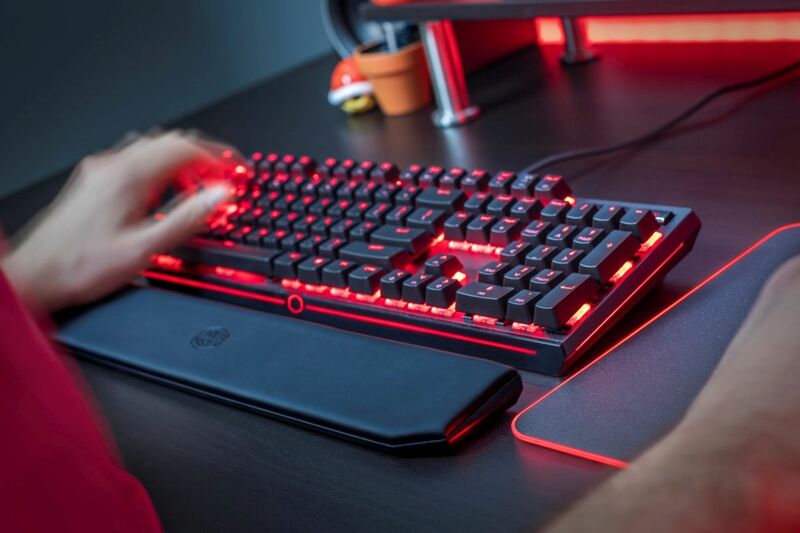 However, Cooler Master is already taking pre-orders via the Store Uni, where interested users can pre-order the keyboard at a discounted price of RM589.